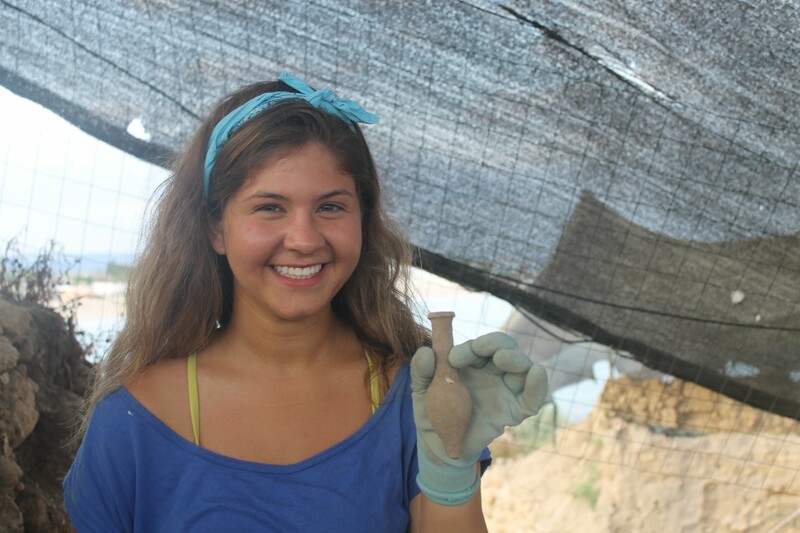 Nicole Aqua shows off a perfume bottle she found at the Tel Dor site in Israel, where students and professors work side by side to unearth history. Nicole Aqua, a sophomore at UW, received a scholarship from the Stroum Jewish Studies Program towards her participation in the UW Tel Dor Archaeological Excavation and Field School in the summer of 2013. Click here to find out more about the Field School, which is run by Classics professor and Jewish Studies faculty member Sarah Culpepper Stroup. The Tel Dor excavation is made possible by the generous support of the Samis Foundation. 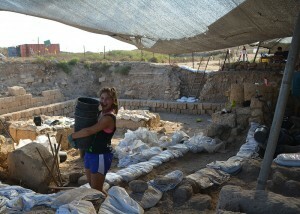 In this blog post, Nicole describes her experience digging up history in northern Israel. The Stroum Jewish Studies Program congratulates Nicole on her successful summer at Tel Dor, and wishes her luck in her future archaeological and academic endeavors! Boarding the airplane to prepare for a near seven thousand mile flight, I began to second-guess my decision to instigate my first archaeological journey. However, I was immediately welcomed into the Tel Dor family and prepared to actively participate in my maiden excavation, rather than the passive studying I had been doing for the past year. A couple days into the dig and I had already recovered a Late Hellenistic unguentarium, possibly used for perfume. Following my fervent excitement and adrenaline rush, I had a sudden realization: as students we were not only helping our professors, we were diligently contributing to the extensive research at Tel Dor. Students at the Tel Dor field school gain hands-on experience with the technical aspects of archaeology–and put it all in historical context. Although I spent the majority of my time at the excavation, I also had the weekends off to explore the vast amounts of rich culture and history the country has to offer. As a veteran traveler of Israel, I had previously experienced the main tourist attractions so I wanted to delve further into the several ancient sites Israel has to offer, while also strengthening and investigating my own Jewish identity. I explored the remains of the Akko harbor, ambled through Hezekiah’s Tunnel in the City of David, and visited several early synagogues and churches. My time in Israel has only caused my love for archaeology to flourish, and it is quite possible that my pre-paid plane ticket back to Seattle is the only reason I am leaving a country with such abundant archaeological history, multi-culturalism, and rising research in the antiquities. The ancient port town of Dor has not only been my classroom for the past several weeks: it has been my history book, my nautical adventure, and my home. Click here to read “Digging for the Past, Looking to the Future,” an in-depth profile of Professor Sarah Culpepper Stroup and the Tel Dor Field School from our Fall 2012 newsletter. Click here to read a UWToday story about the Tel Dor dig, “UW Student archaeologists wind up summer at Tel Dor site” by Peter Kelley, from August 28th, 2013. 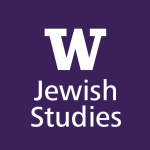 Planning an adventure abroad?Click here to find out more about travel grants and other funding opportunities available from the Stroum Jewish Studies Program!